[Environment] Saturday May 11: Happy Bird Day! Saturday May 11: Happy Bird Day! 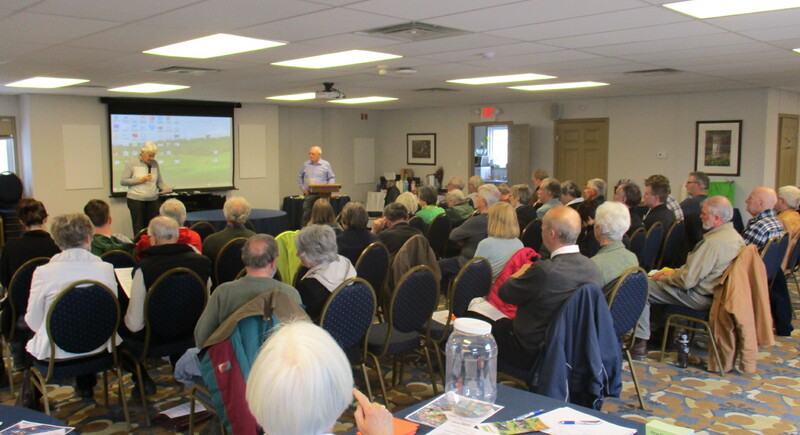 On Sunday April 7, 2019 AWARE Oro-Medonte held its 2019 Annual General Meeting at Stanhope House in Carriage Hills with a crowd of 45 people present. Guest speakers were Linda Myles, president of Horseshoe Valley Property Owners Association and local naturalist David Hawke who resides on Line 6. The topic of their presentations was the proposed Horseshoe Craighurst Corridor Master Plan. They raised concerns about the quality and accuracy of the Cole Engineering report which had been presented to the public January 23, 2019 at a Public Information Centre. “This report raises more questions than it answers” said Linda Myles. AWARE Oro-Medonte is a subsidiary of AWARE Simcoe, a citizens group that works to protect water, the environment and health through transparency and accountability in government. Returning to the Oro-Medonte Steering Committee for 2019 are Bruce Quinn, Tom Kurtz, Ann Truyens and Sandy Agnew. and on June 9th, 2:00- 4:00pm in Stanhope Bldg. AWARE Oro-Medonte’s Guest Speaker will be Dave Carson, (Transition Dundas, Environment Hamilton) who will make a presentation entitled, ‘Connections, Consequences, and Climate Change’. “You cannot have infinite growth on a finite planet”. Accompanying his presentation will be a short film on the threat that bottled water presents to our ground water resources.